Fuel prices in Indian are increasing day-by-day due to which the chaos among the citizens are also increasing. Therefore, common people are finding difficulty to buy the petrol easily. Because the fuel like petrol and diesel consumers have to spend more money than previous. As in the National Captial Territory (NCT) Delhi, the current petrol rate is Rs. 76.61, which is too expensive. Well, this is not the first time when petrol touched the highest peak, earlier, in 2013, the petrol price was also reached to Rs 76.06 in Delhi. 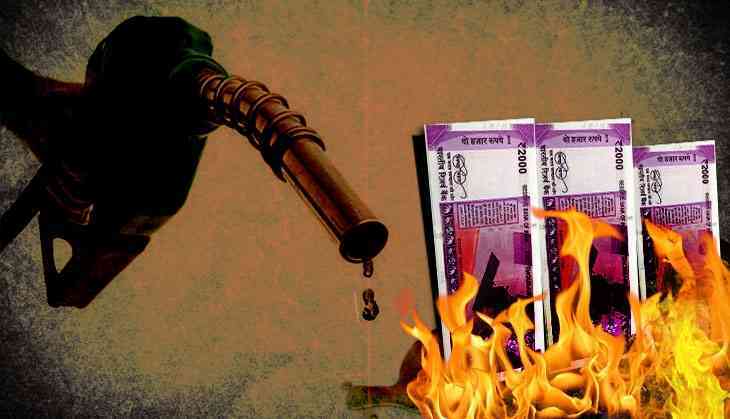 The reason behind increasing rate of fuel is said to be increasing cost of crude oil and also declining of Indian rupees in comparison to dollar in the international market. However, the price of petrol and diesel completely depended on the imposition of tax in different state of a country. If we removed the tax imposed on petrol in Delhi then it will be half of its current price. The recent report about fuel rate released by the Indian Oil Corporation is that the price of petrol for one litre was Rs 76.57 in Delhi, Rs 84.40 in Mumbai and Rs 79.47 in Chennai on Monday. रिपोर्टर:- सर भुटान, श्रीलंका, नेपाल मे पेट्रोल इंडिया से सस्ता है, क्या कहना चाहेगे आप? Wonder why . @akshaykumar deleted this tweet. Kal hi phone aaya tha bhai...."aapki stealth black available hai... paperwork ke liye as jaiye"
What do you want to say about fuel price hike in India? Comment your opinion..
Birbhum grocer Aparesh: "TMC has really tortured people, my vote for CPI(M)"